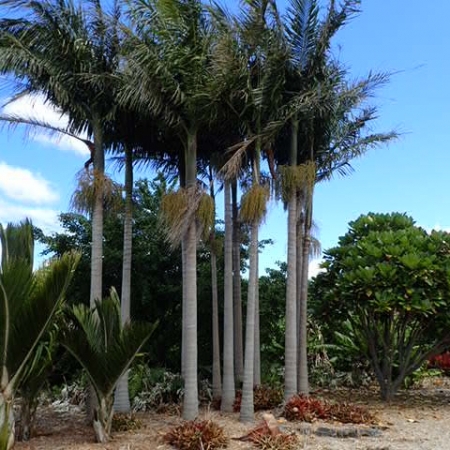 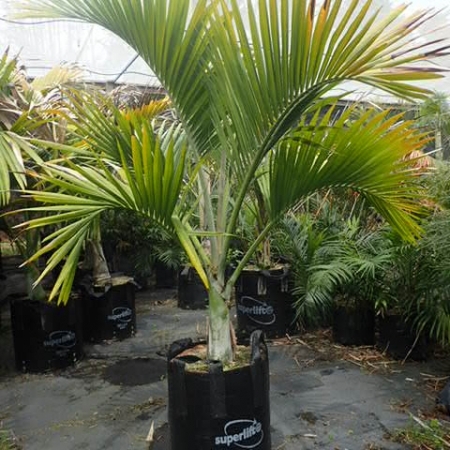 One of the most popular palms, versatile for indoors or outdoors. 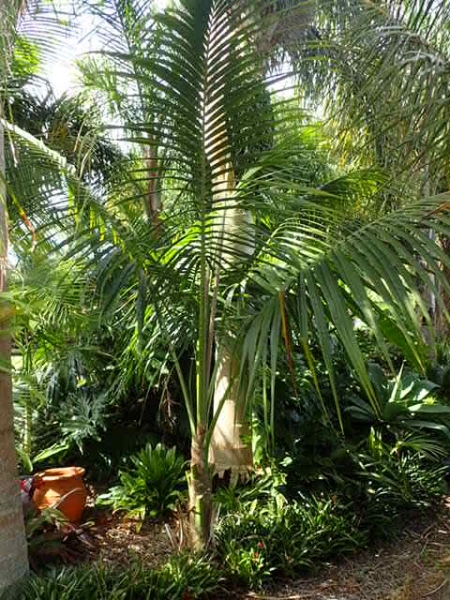 Will tolerate full sun or shady areas and seaside or windy conditions when established. 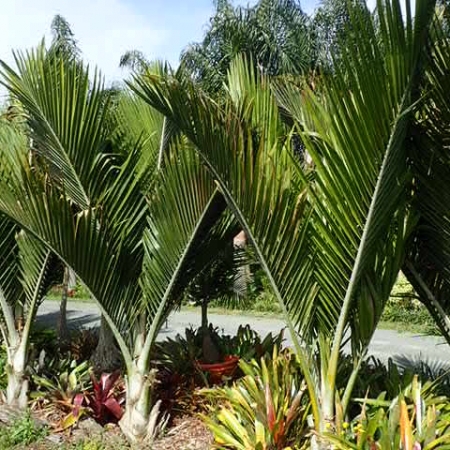 Reasonably slow growing up to 10 metres. 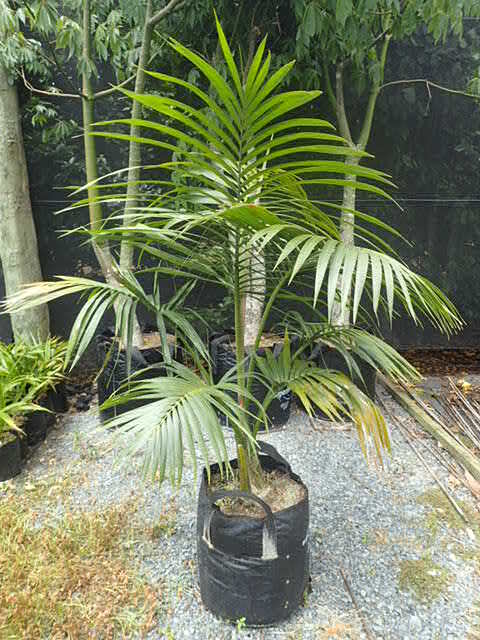 Lovely bold palm for garden feature.